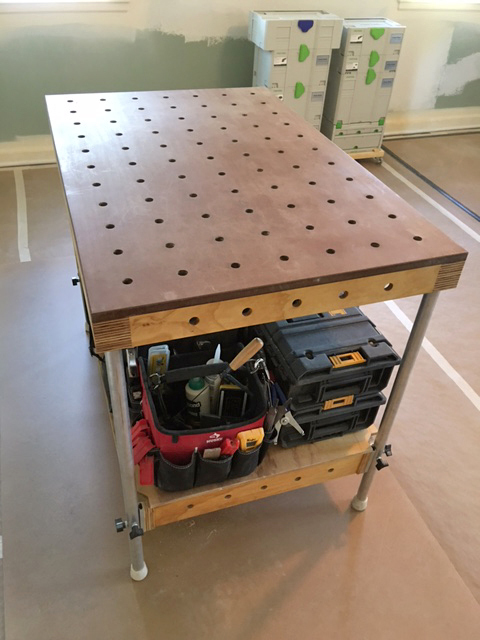 This is a page for photos and reviews from Multi Purpose Table users who have built an MPT from the plans. If you have completed your MPT and would like to have it featured here, please send along some photos and a brief review by clicking on the button below. Here is the third entry for the MPT user section from Michael. Michael made some modifications from the plans to suit his requirements including the size of the top and was able to make it from a 1/4 sheet of MDF. He wasn't able to purchase the aluminum tubes for the legs where he lives so he improvised with some wooden legs which turned out great. Michael is also the first entry to have some MPT accessories included in the build. Great job Michael and thanks for the photos! Here is the second entry for the MPT user page from Casey. Casey is a carpenter and has been using his recently completed MPT for doing trim work on site. He built his MPT following the plans exactly and it turned out great. He used Danish oil to finish the MPT and it gave it a nice rich colour. Thanks for the photos and review Casey, it looks great! The first entry comes from Mike who has completed two MPT's to suit his workflow. 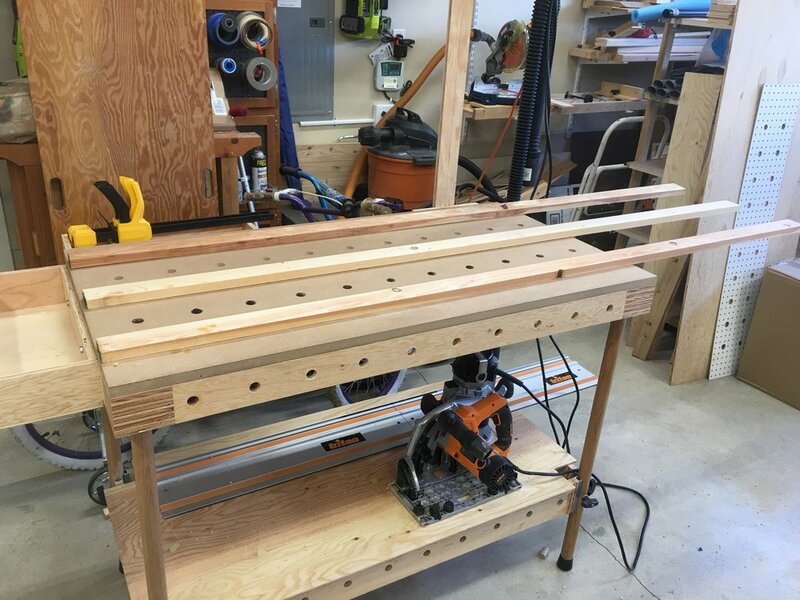 He added some custom features on his MPT's including T-track for Festool clamp integration on one apron, a bracket to hold his tracksaw rails and some additional ribbing on the underside of the shelves to carry heavier loads. Mike has put his MPT's to work right away and has sent some photos of them set up on site. Thanks for the photos and review Mike and great job on your MPT's!